Cantilena returns to Islay to present the 2016 Festival, starting on Sunday 3 July in Columba Centre with a programme which includes Haydn Piano Trio, Mozart Piano Quartet and Schumann Piano Quintet featuring Angus Ramsay and Abigail Young on violin, Stephen Shakeshaft on viola, Sarah Harrington on Cello and Scott Mitchell on piano. The Festival continues on Monday 4 July with a students’ showcase concert in Laphroaig Distillery. This is an opportunity to hear our very talented students from the Royal Conservatoire of Scotland and also the whole ensemble playing Haydn’s Seven Last Words on the Cross. This was last played on Islay by Cantilena many years ago when it was very well received. Havilland Willshire will present a piano recital in Columba Centre on Tuesday 5 July. Havilland needs no introduction to Islay audiences and his programme including Scarlatti, Ravel, Schumann and Grieg is guaranteed to be very enjoyable. Lagavulin is the venue for Wednesday’s concert including some more unusual works by Galuppi, Marcello and a concerto for double bass and strings to be played by one of the students who first appeared in last year’s festival. The second half of the programme consists of works by Rossini and Bach. 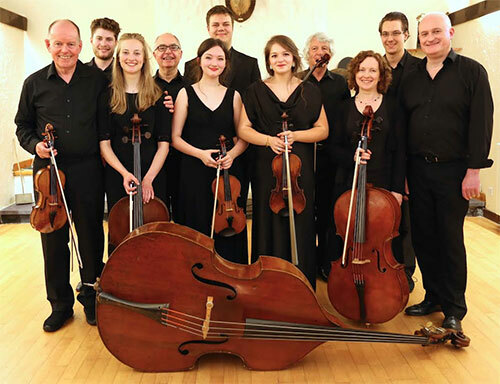 On Thursday 7 July the concert is in Ardbeg Distillery and is an all Mozart programme It includes a Piano Trio, and Oboe Concerto and Eine Kleine Nachtmusik. This programme will be dedicated to the late Captain Tom Friedrich of Islay House who was a great friend and supporter of Cantilena. As always the Festival concludes on Friday evening with a concert at Bruichladdich but this time in the Village Hall. The programme here includes Tchaikovsky Serenade for Strings, and the ever popular ‘Classical Ceilidh’. Cantilena is very generously supported by distilleries across the island. Come along and enjoy the music and meet the professional musicians and the students. All concerts start at 7.30 and tickets (£12/£10) can be bought from Celtic House Bowmore or at the door of the various venues. Martine Nouet, celebrated whisky expert presents a Whisky and Music afternoon on Tuesday 5 July in Islay Hotel, Port Ellen. Martine will guide you through several Islay malts which she will match with music which Cantilena will play. Always a popular event. Further information at Martine's website.